Want to ask us a question about Thoosa or make a suggestion? This is the place to do it. Please tell us your name and either a contact telephone number or email address. Thoosa tracks your teams, comparing their skills graphically with predicted needs at all of your locations. Provides for competencies that expire and for authorised exemptions. Thoosa reports training that is expiring, staff that are transfering, reviews that are due. Customise your dashboard to show your KPIs and alert you to events that matter to you. Thoosa promotes training in time to maintain cover and minimise your spend. Costs are tracked and trended graphically and budget projections are provided. Provides timely warnings when competency levels within the organisation fall below a threshold. Tracks competencies at the individual, department, training course and organisation level. 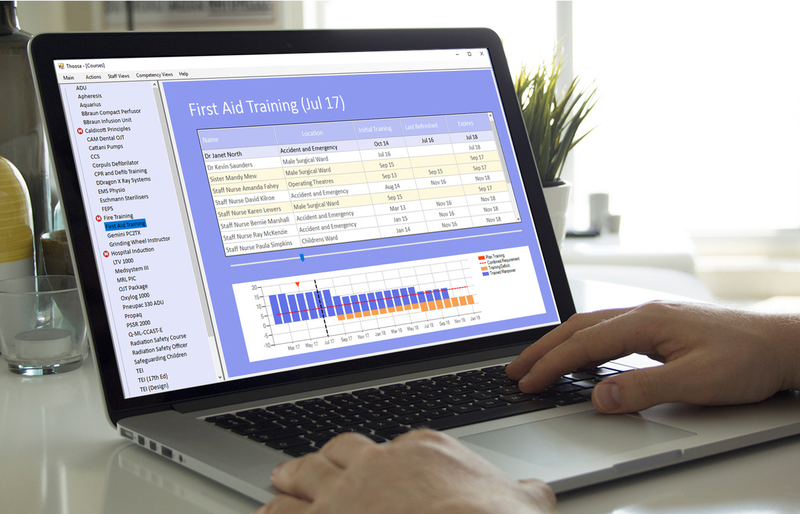 Provides both graphical and tabulated evidence that staff throughout your organisation have complied with statutory requirements such as Fire and First Aid training. 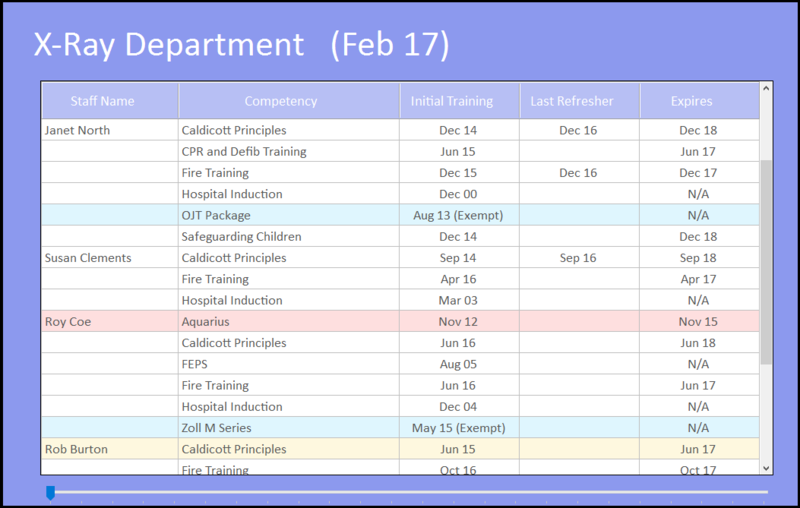 Budget projections are provided for the individual training course, department and organisational level. Historic training costs are displayed along with the trend in course expenditure.